We welcome you to our Red Dead Redemption 2 WIKI / Walkthrough! We’ll show you all the puzzle solutions, trophies & achievements, side missions and collectibles. With our tips and instructions you can complete Red Dead Redemption 2 (RDR2) with 100%! There are a lot of collectibles in the game, we show you all kinds of collectibles and where you can find them. All of the locations and items listed below are required for a 100% game progress. There are several ways to travel in the game, you do not always have to ride the tracks yourself. The fast trip saves you a lot of time. There are many cheats in the game which you have to enter via the menup. How it works and what codes are there, we show you. 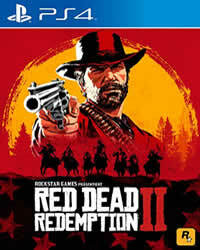 In the following Walkthrough you will find videos for the complete game, since RDR2 is very large and complex, there are many ways to complete the main story.